Compounding the problem is the checking of vehicles in Mandya and Ramanagara assembly constituencies in the wake of the by-polls. MYSURU: With school vacations and Dasara festivities, driving to the palace city of Mysuru will not turn out to be a pleasurable experience, but more of a pain with bumper-to-bumper traffic on the Bengaluru-Mysuru Highway. Compounding the problem is the checking of vehicles in Mandya and Ramanagara assembly constituencies, which covers 70 per cent of the road between Bengaluru and Mysuru, in the wake of the by-polls. The road widening works in Chanapatna Town is also leading to snaking lines of vehicles. No wonder, travellers are sweating it out to even to reach Mandya city due to three-four traffic signals at prominent junctions on the highway. With the Dasara crowd pouring towards Mysuru during the weekend, the traffic is three to four times more than that towards Bengaluru. For the last couple of days, restaurants, petrol pumps and road-side eateries have been enjoying brisk business. The traffic will turn more chaotic as the countdown starts for the Jamboo Savari which will be held on October 19. The night traffic has also increased compared to the previous weeks as many tourists return to Bengaluru after the Dasara illumination and events which are held up to 10.30 pm. 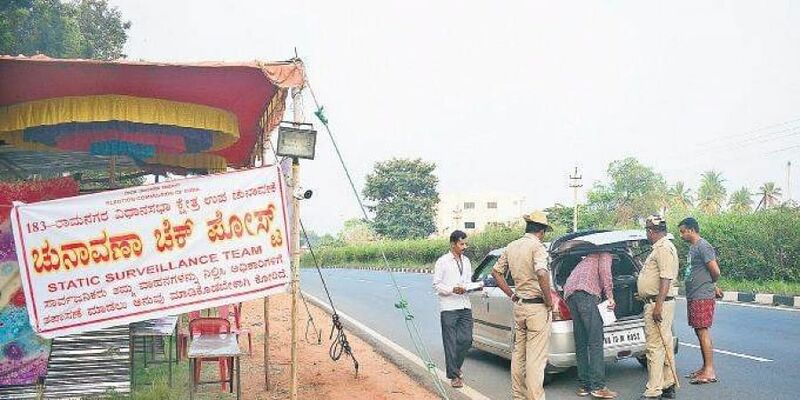 Faced with such a high increase in traffic, the police have stepped up patrols on the highway. Home guards have been deputed at sharp curves, junctions near Baburayana Koppal, Chikka Mandya and near accident-prone stretches. In Mysuru city, prominent roads leading to the palace, illuminated streets on New Sayyaji Road, Chamaraja double road, and some junctions are choc-a-bloc with vehicles. The one-ways introduced by the Mysuru police to regulate traffic inside the city during Dasara has also added to the confusion as tourists are now forced to take various detours to reach their destinations. However, the presence of a good number of traffic cops, and help desks have come as a boon for the tourists. The #MeToo campaign that is intensifying with every passing day on Saturday got a poetic touch. A poetry by the same name from a poetess caught the attention of literary lovers during young poets meet on the second day of Dasara Poets Meet here. So also a take on ‘Swachh Bharat’ campaign that is not so easy to achieve with unabated public urination.